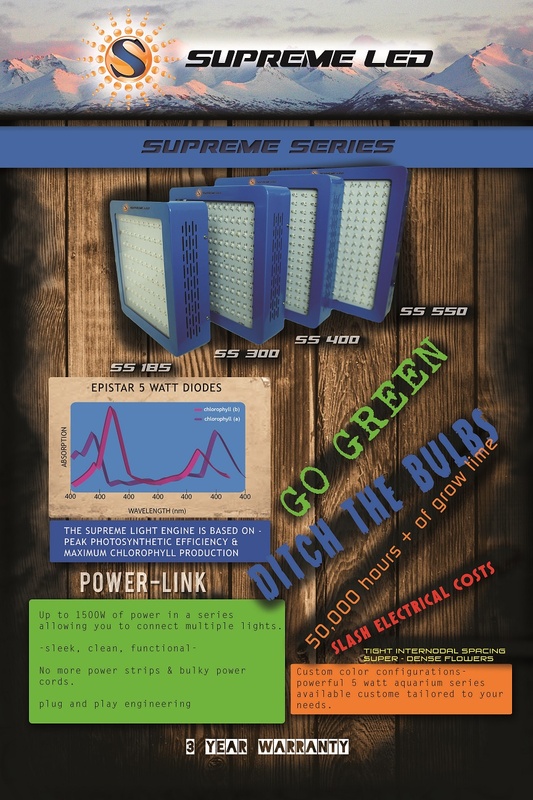 Supreme LED on INDOOR GARDEN PRODUCTS in Anchorage, Alaska. 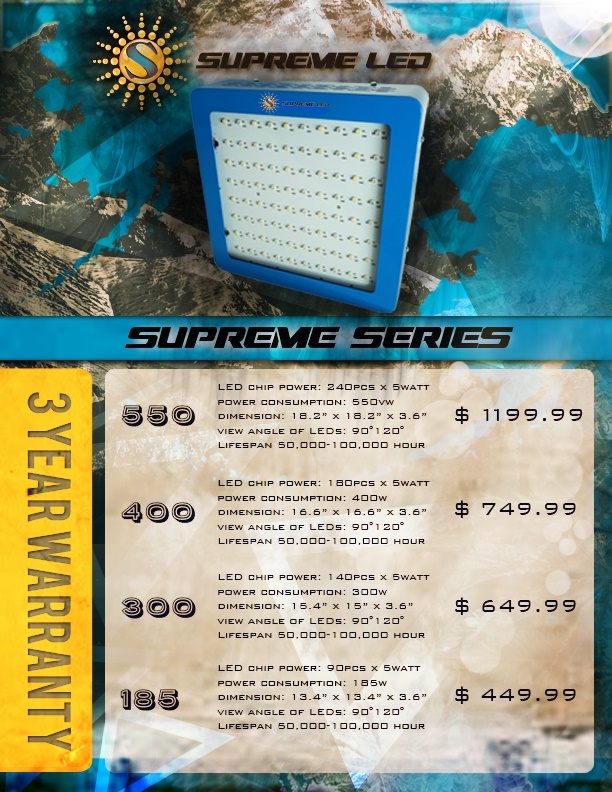 Southside Garden is Proud to be carrying Supreme LED’s . 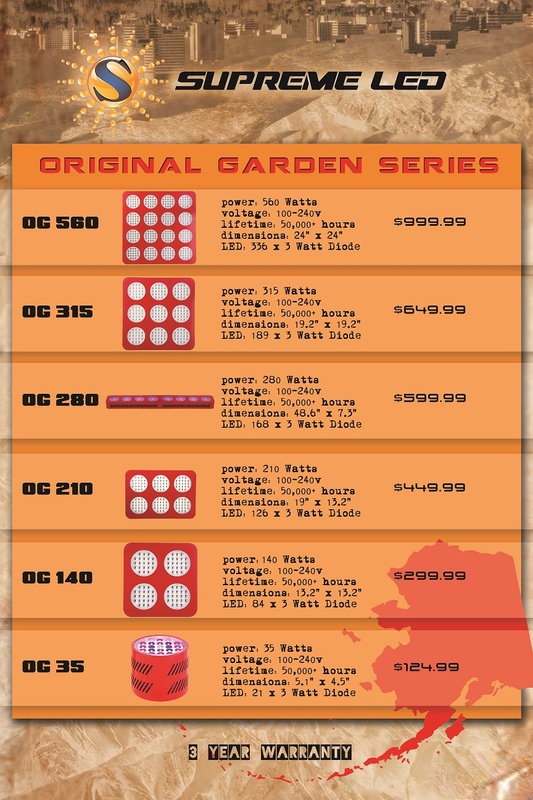 3 year in state warranty service. 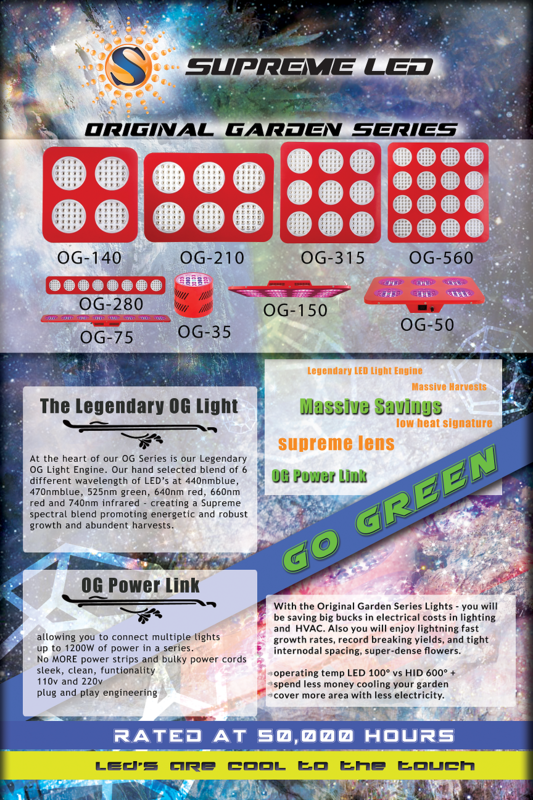 For more information Check them out at one of our Three locations in Anchorage.